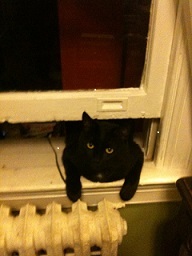 An oldie but goody from catz. I haven’t been traveling as much lately so the cats and I have settled into a routine. I let them out to roam around usually twice a day. Then we cuddle while I work. I have been working on both my normal job and decluttering my home (shout out to Freecycle). Anyway, here is me taking one of the few trips I have this fall and clearly Koko was not happy. 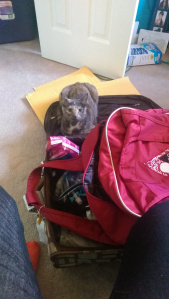 She either wanted to come with me or didn’t want me to leave. Very rarely do we make our wishes known. We are afraid of hurting other people’s feelings and in the end wind up hurting ourselves and the other person. Sometimes, just take the time to sit on the luggage and spark the conversation.